In the fall of 1989 Osama had returned home to Jeddah Saudi Arabia after leading an international volunteer army of unknown dimensions. Many people in Saudi believed the fables that Osama had helped and actually succeeded in driving the Soviets out of Afghanistan. Saudi had never before had a hero. The modesty of the country had only allowed princes and kings to receive any fame. 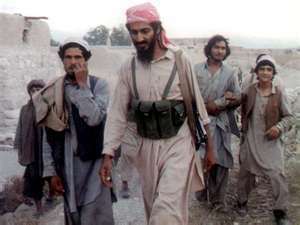 At that time Osama was thirty-one years old and believed many of the fables himself. The Saudi press and Arab Legion had been reporting that Osama himself had brought down the superpower of The Soviets. Osama was better known than all but a few princes and the upper tier of clergy. Osama was rich and now powerful.